Original article can be accessed at FEM Newsmagazine. Author Note: After doing extensive research, I offer my support to those who are attempting to reveal the atrocities committed by the Israeli government. I send my support to divestment. Complacency finances the Israeli military. Along with so many people in America, my tax money and my tuition dollars support this genocide. Unknowingly, so many of us fund organizations which profit off the murder of Palestinian peoples. As an American citizen, I know that my opinion on this topic is already patronizingly flawed. Not only do I speak about a violence that I financially contribute to through taxes and school fees, I also know that this genocide can be much more aptly covered by those who are experiencing it. Therefore I have assembled a collection of other peoples’ analyses and news reports about the region in order to provide a single space where readers can access a large quantity of credible information about the Israeli occupation of Palestine. Feel free to jump around sections and click on the links provided for more information. *It is important to clarify that Judaism (religion) is not Zionism (movement for the creation of a Jewish state). 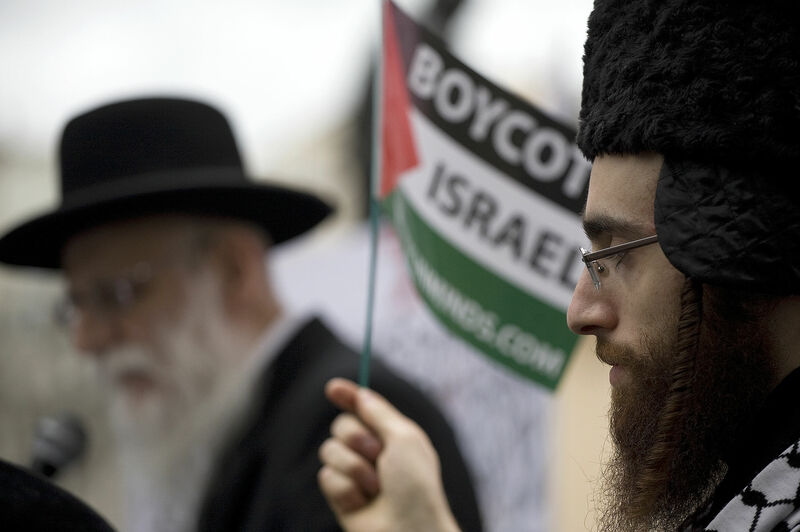 Many Orthodox Jews have voiced their opposition to Israeli expansion. Also, Jewish organizations such as Jewish Voice for Peace, NOIN: Not in Our Name: Jewish Voices Opposing Zionism, The Israeli Committee Against House Demolitions, Zochrot, JAO: Jews Against the Occupation, JFJFP: Jews for Justice for Palestine, Jews for Palestinian Right of Return, Jews Say No, IJAN: International Jewish Anti-Zionist Network,have all voiced adamant opposition to the Israeli colonial policies which have resulted in a genocide of the Palestinian peoples. Here is a statement made by a Warsaw Ghetto survivor who opposes the Israeli occupation, and readers can also watch the documentary Israel vs Israel for more dissenting Israeli voices. In this article, the criticisms of Israeli policies are not anti-Semitic rather anti-Zionist. Watch the documentary The Zionist Story for more information. Since July 8th alone, over 1100 Palestinians have been murdered by Israeli forces. In order to understand the violence today it is important to briefly give historical context to the current diaspora (scattering) of Palestinian peoples. In an incredibly simplistic summary of ancient history, both Arabs and Jews resided in the land now known as Israel/Palestine. The Jewish diaspora began occurring in approximately 6th century BCE with the conquest of the ancient Kingdom of Judah by Babylon. Though some stayed, many Jews fled. Zionists partly base Jewish claim to the land of Israel on this history (also see Biblical ties). On the other hand, Arab peoples have been documented living in the region since the year 630. As a result of the United Kingdom conquering the area known as Palestine from the Ottoman Empire during WW1, the UK was given a mandate to the region. Because the British had promised to establish a Jewish national homeland in Palestine under the The Balfour Declaration of 1917, and also promised Palestinians that the land they resided on would be returned to the nationals living there under the The McMahon Agreement, both parties felt they deserved the land. However, it was only after the Holocaust that the international community began to support Jewish settlement in what is now called Israel. When the British Mandate was terminated in 1948, the United Nations developed the Partition Plan (1947) for Palestine which separated the nation into two separate states; Israel (the Jewish state) and Palestine (the Arab state). While most Zionists around the world reacted to the resolution with satisfaction, the majority of Arab leaders and governments rejected the partition as it resulted in a major loss of territory. It seems that in order to compensate Jews for the horrors incurred by the Holocaust and Euro-Christian anti-semitism, the UN granted a much needed homeland to displaced Jews. However, the compensation for the massacre of six million peoples was not paid for by the nations who contributed to that violence. Palestine was forced to bear a disproportionate burden of the reparation: 56% of their homeland. As a result of this partition, approximately 700,000-750,000 Palestinians were forced to leave their homes. What is known as Yom Ha’atzmaut (Independence day) in Israel is simultaneously known as al Nakba (meaning “catastrophe”) and acts as a commemoration of displacement to Palestinians. This year marks the beginning of the contemporary Palestinian diaspora. After 1948, a string of wars broke out between Israeli and Arab forces. After the Six-Day War in 1967, Israel captured a significant portion of Palestinian land: Sinai Peninsula, Gaza Strip, West Bank, Old City of Jerusalem, and the Golan Heights (Israel no longer occupies the Gaza Strip). For some Israelis this occupation meant a return to their homelands. For most Palestinians it meant displacement. The capture of this land lead to the dislocation of approximately 280,000-325,000 Palestinians. Israeli forces then occupied the remaining 22% of Palestine. The boundary of 1967 marks what is known as the Green Line and the Palestinians who reside in this area do not have Israeli citizenship. The Israelis who reside in these locations live under Israeli civil law whereas the Palestinians live under Israeli military law. Watch the documentary Roadmap to Apartheid for more information. Since 1967, Israel has transferred many of its citizens to Jewish settlements on occupied Palestinian land. Since 1967, the Israeli policy of home demolition has destroyed about 27,000 Palestinian homes and other structures. 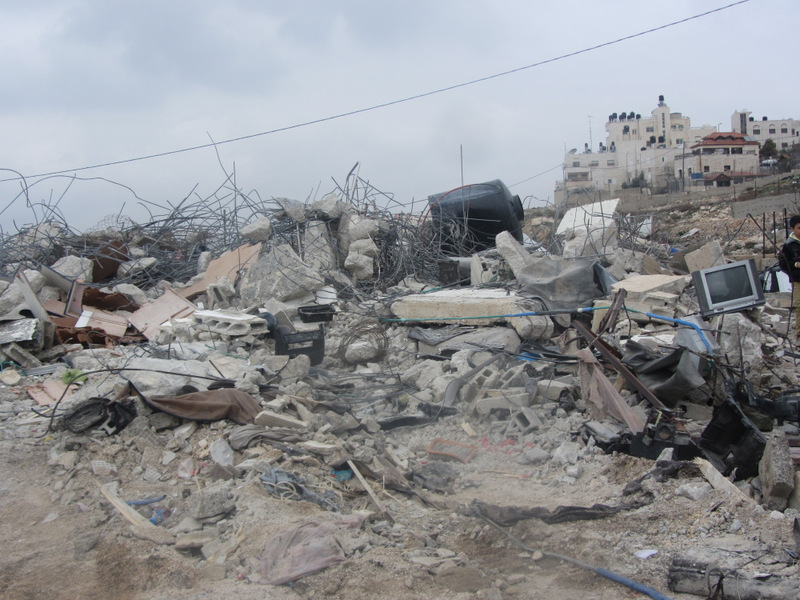 Only two percent of the demolitions were recorded for security purposes. These home demolitions clearly violate international law. It has been documented that Israel is also breaking at least eight other international laws which prohibits the pillage of resources (water) from occupied territories, the use of collective punishment of civilians, brutalization of civilian populations, outrages upon human dignity, inhumane treatment, and torture. This also includes the violation of the the Right of Return which gives ”any person the right to return to, and re-enter, his or her country of origin.” Under this law, Israel is required to permit Palestinians to return to their homes from which they were expelled in 1948. Israel has denied Palestinians this right, breaking international law. In 1987, the people in the West Bank and Gaza rebelled against the military occupation of their state in the First Intifada. They fought through various methods including: refusing to pay taxes, nonviolent resistance, commercial strikes, but mostly by throwing stones and using sling shots against tanks and planes (view at minute 7:00). It has been reported that the Israeli Prime Minister at the time, Yitzhak Rabin, gave orders to “break the bones” of Palestinians participating in the uprising, and thus implemented the policy of “force, might and beatings” to suppress the revolt. The period marks the death of 94 Israeli citizens and 1,491 Palestinian peoples in the occupied territories. Watch the documentary Occupation 101: Voice of a Silenced Majority for more information about the history of the occupation (the historical analysis begins at 16:00). The year 2000 marks the beginning of the Second Intifada (the next uprising against the Israeli occupation). It was not until 2001, after the death of 400 Palestinians (one year after the uprisings), that suicide attacks increased. 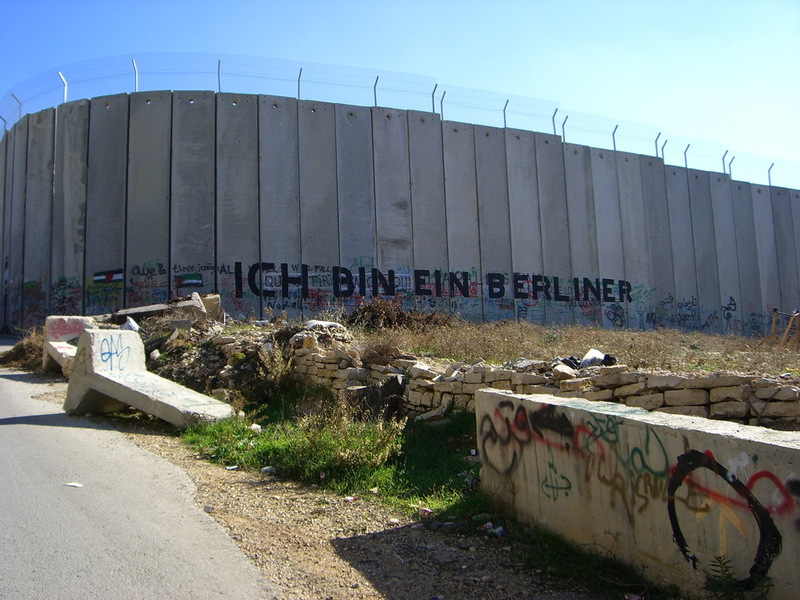 In June 2002, the Israeli government began building a wall (twice the height of the Berlin Wall) around the territories won in the 1967 war. The UN has since determined the barrier to be illegal. In other words, even if this wall did exactly what it was supposed to and saved Israelis from the bombings (which would be a very valid and worthwhile policy), Palestinians are now unable to evacuate when bombs rain on their towns and cities. Statistics show that Israeli cease fires result in sharp decline in Palestinian terror attacks. Increasing Israeli violence does not cease violence; only peace can do that. Moreover, recent reports on the wall reveal that its main (often concealed) intention was to prepare Palestinian land for annexation. This is evidenced by the fact that only 15% of the wall is actually on the green line (border); the remaining 85% separates Jewish Settlements from Palestinian towns and also Palestinian towns from one another. When considering Prime Minister Rabin’s statement about the desire for expansion, that “[Israel will] create in the course of the next 10 or 20 years conditions which would attract natural and voluntary migration of the refugees from the Gaza Strip and the West Bank to Jordan,” the wall has ulterior motives. Watch the documentary 5 Broken Cameras (Netflix, Youtube) for a first hand account of non-violent protests to a barrier that was built on Palestinian land. 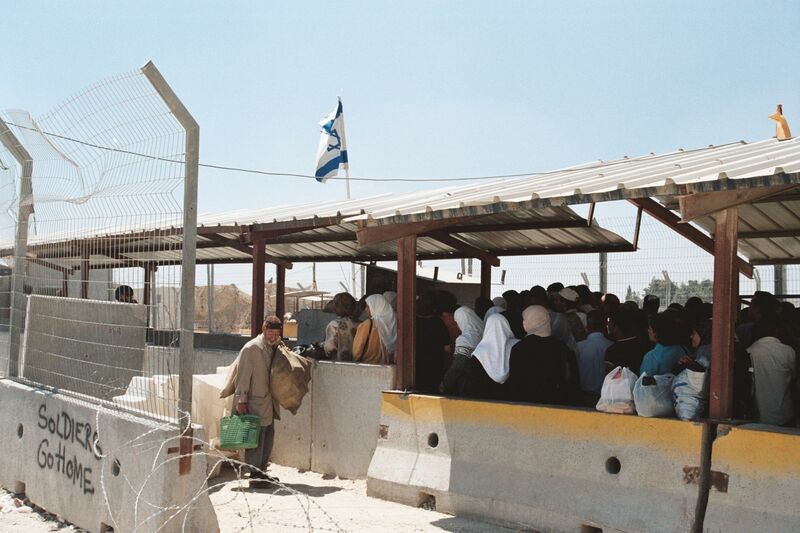 After the completion of the wall, checkpoints were established to monitor Palestinian movement. Much like apartheid South Africa’s infamous pass system, Palestinians must also carry IDs at all times. Photographic evidence documents the human right abuses at the checkpoints. There are over six hundred checkpoints located in the West Bank (Palestinian land) and only thirty six of these separate Israel and the West Bank. These sites have been identified as leading causes for Palestine’s economic troubles. The documentaries Palestine is Still the Issue and Roadmap to Apartheid detail numerous incidences at the checkpoints. Israeli forces frequently implement curfews which further restrict Palestinian movement and leave entire regions of the occupied territory under a 24 hour curfew (cannot leave homes except for few breaks which are designed to allow people to get food) for days, weeks or even months. Here’s a list of other restricted imports. Israel stated that its ground invasion of Palestine on July 17th was in response to tunnels which run under Gaza into Israel. In order to prevent Hamas from possibly using the tunnels for weaponry, Israel has shut down at least thirteen. These same tunnels have have been recorded as the primary means for importing all kinds of commodities and restricted items such as diapers, flour, medicine, sugar, clothes, aluminum, copper, etc. As stated above, the Israelis who reside in Israel and the occupied areas of Palestine live under Israeli civil law, whereas the Palestinians live under Israeli military law. The UN determined that Israeli court systems overstep international law because the military “system […] enjoys less independence and impartiality and does not effectively safeguard the individual rights of accused persons and suspects.” Reports have demonstrated that nearly 100% of military court cases in the West Bank result in convictions, a number too high to be properly releasing the falsely accused. The documentary Israelis Torturing Non-Jewish children depicts the Israelis widespread institutionalized imprisonment of Palestinian children who are often placed in solitary confinement, blindfolded, signed/shown documents in Hebrew, transferred on the floors of vehicles, strip searched, and threatened by death, sexual assault, and physical violence (to both themselves and their loved ones). The documentary captures the arrest of a five year old boy who was accused (he adamantly denied the accusation) of throwing stones at a Jewish Settler. The movie also cites a UN report on Israeli child detention centers where Palestinian children were being kept overnight in large outdoor cages (even in the winter). Statistics show that thousands of Palestinian children have been arrested since 2008. Before a military juvenile court was established in 2009, children were housed in the same detention centers as adults. Until 1999, the Israeli military sanctioned a torture policy under the euphemism of “moderate physical pressure.” Amnesty International’s Annual Report on Israel revealed that there are still high volumes of torture reports from Palestinian prisoners. The psychological trauma of the occupation has resulted in high rates of PTSD amongst children and adults in the region. As one of the most densely populated cities in the world, an airstrike in Gaza Strip results in civilian death. Thus all missiles fired into Gaza constitute crimes against humanity as they target civilians. The UN has reported that 80% (four out of five) of the Palestinians killed during the ongoing Israeli military offensive Operation Protective Edge have been civilians and one fifth of the dead have been minors. Since July 8th, over 1100 Palestinians and 51 Israelis have been killed. Recent news reports justify Israeli airstrikes into Gaza saying that Israel “warns” residents before firing a missile into specific locations. Moreover, no evidence has been provided that the targeted homes are Hamas operatives (as suggested by Israeli forces). This same line of reasoning disproves the argument that Israeli military is blameless in regards to civilian death because of Hamas’ use of human shields (Amnesty International reported that Hamas does not use human shields.). The U.S., along with many of its news reporting stations, have been quick to justify Israeli bombings/apartheid systems under the right of self defense. Moreover, the Israeli right to defend itself is not an extreme and unconstrained right. The response to Hamas(Islamic Resistance Movement) bombings is disproportionate on a mass scale. The bombing of civilians and children is not self defense. It is murder. 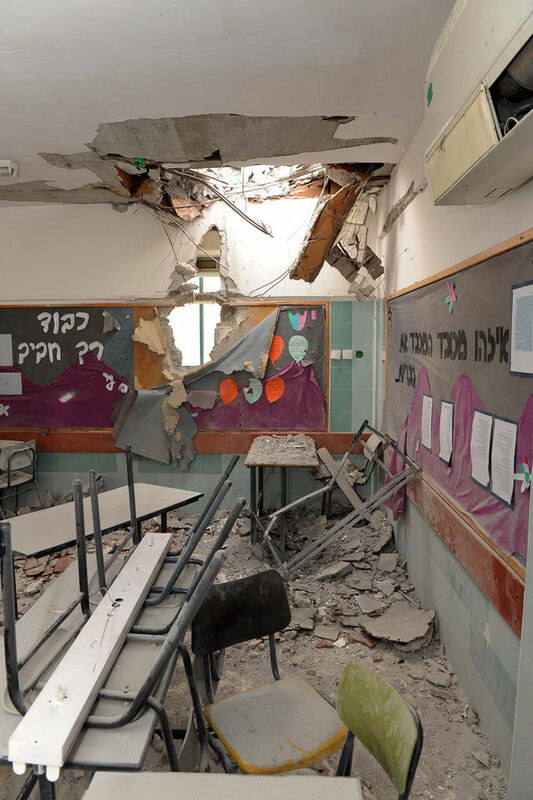 Since 2001, there have been a recorded 28 fatalities from Gaza rockets fired into Israel. These deaths have been rightly condemned, but they do not justify the thousands of Palestinian fatalities since 2001, over 1100 of whichwere murdered by Israeli forces over the past two weeks. Jon Stewart’s segment on Gaza addresses this disproportionate attack. What about the Palestine’s right to defend itself? That being said, neither UCLA nor the U.S. government funds Hamas; they fund the Israeli military. Additionally, the U.S. has used 40 of its 79 vetos in UN resolutions on issues relating to the Middle East (the majority of which concern Israel). Its last veto was used to block a resolution determining the Israeli settlements illegal. Similarly, an article I wrote earlier this year connected capitalism and violence and gave examples of the ways in which governments and corporations neglect to respond to human rights abuses because they are economically profitable. The documentary The Israel Lobby further discusses U.S. ties to Israel. The people of Palestine have stressed the urgency to ACT NOW. “The most basic step is to stop buying products and services of Israeli companies and, whenever feasible, of international companies involved in Israel’s human rights violations. Try to encourage your friends, family and community to join you in doing so. In other words, boycotts in mass are the most effective. This means that not only is the BDS movement asking for divestment, but also to spread the word about divestment. Most importantly, companies need to be aware of the reasoning behind financial losses. Send emails, call, sign petitions, and contact the companies to express concern surrounding involvement in the occupation so companies become aware of the reason they are losing money. That being said, boycotting certain items can still be an effective form of nonviolent resistance. I have provided lists so that consumers can organize BDS campaigns around specific companies with documented contributions to the violence. Supporters of BDS can find products on this list or simply look at the product bar code. The number 729 indicates that the product was made in Israel. Here’s a list of the top ten productsto avoid. The app Buycott also allows you to scan barcodes to see if the product contributes to the occupation. During the 2013-2014 academic year, the UCLA organization Students for Justice in Palestine (SJP) drafted a resolution to divest our tuition monies from five companies that have profited off of the illegal Israeli occupation of Palestine. On February 26th, USAC (Undergraduate Student Association Council) rejected the resolution of divestment. Various members of USAC who voted against the resolution had gone on free trips to Israel through pro-Israel groups: Anti-Defamation League (Sunny Singh: general representative and Darren Ramalho: Academic Affairs Commissioner) and Project Interchange (Lauren Rogers: Financial Support Commissioner). More conflicts of interest have since surfaced on Avi Oved’s vote. “According to a document presented by a student from UC Riverside during public comments, Oved allegedly sent an email a few weeks before the 2013 Undergraduate Student Association elections at UCLA thanking Adam Milstein, a heavy supporter of pro-Israel organizations who also runs the Adam and Gila Milstein Family Foundation, for a generous donation to him and a campus political party. Despite UC Student Association objections and the student petition to postpone his nomination, Avi Oved was appointed to the Board of Regents on July 16th. The same board of regents which invests UC funds into private companies, some of which support the occupation. Five out of nine UC campuses have endorsed divestment (UC Berkeley, UC Irvine, UC Riverside, UC San Diego, UC Santa Cruz). Contact your congressperson and tell them to stop supporting genocide. “Contact President Obama at (202) 456-1111 and the State Department at (202) 647-4000. Demand that they immediately withdraw U.S. military aid from Israel and call on Israel to immediately end its attacks. Tell them to stop supporting Israel’s crimes with our tax dollars.” You can also contact the Obama administration online at this site. Click here for a template letter/phone message to send to any of the above sources. Also refer to this list of public officials you can contact. Read about Islamic Relief USA and donate. Donate to the Middle East Children’s Alliance. There have been global protests in response to Israel’s military violence. Find one near you and participate. Click here to find out more about why justice in Palestine is a feminist issue.